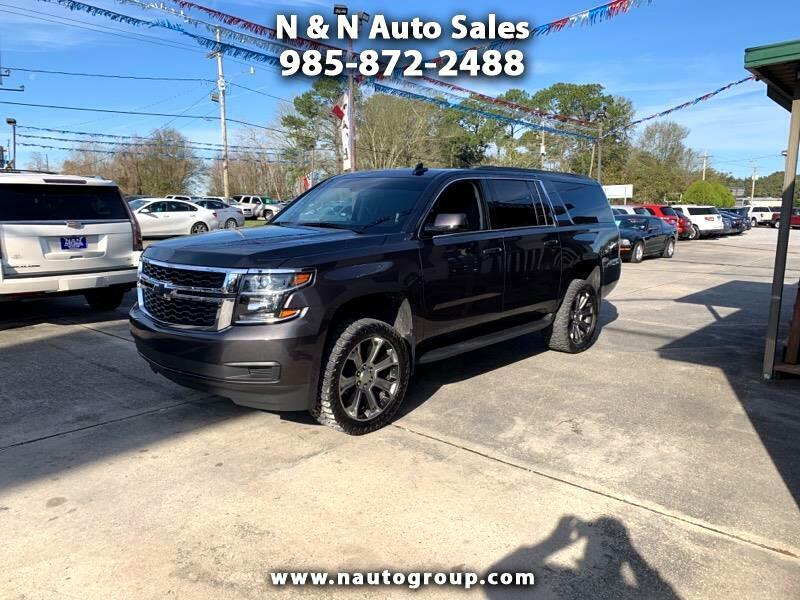 N & N AUTO SALES, INC. 985-872-2488 Financing is Available with approved credit. Interest rates as low as 5.99% (current and prior year). If you don't have credit or if you have bad credit you will need roughly 50 percent down maybe even more it depends on your credit history and also need a income of at least $1200 per month. Most of our vehicles come with a 30 Day warranty and you can purchase a extended warranty. We try to accurately describe our vehicles but we are human and sometimes make a error.. Message: Thought you might be interested in this 2017 Chevrolet Suburban.